Universal has been a standout nutritional and sporting supplement company for the past few decades. With some of the best known products around including Animal Rage, M-Stack and Cuts, Universal have built up a solid reputation with an almost cult-like following from bodybuilders, athletes and recreational weight lifters alike. 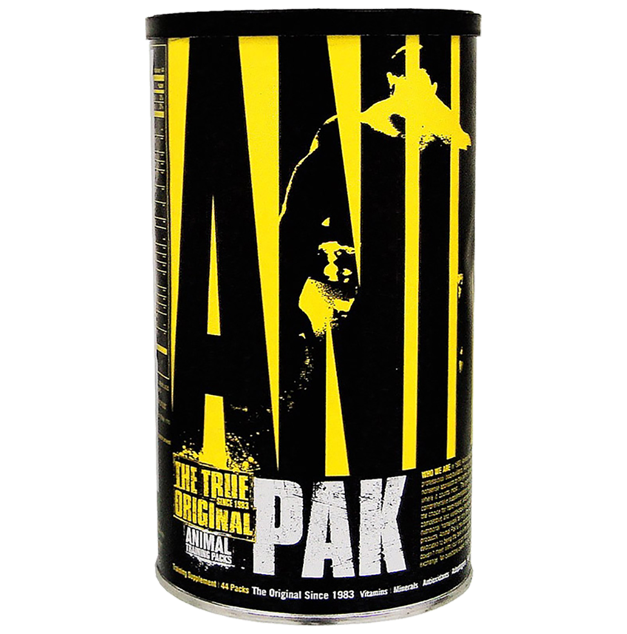 One of their most popular products is ironically just a multi-vitamin and mineral supplement; Universal Animal Pak. This review takes a look at this popular supplement and what sets it apart from other similar supplements on the market. What is Universal Animal Pak? Universal Animal Pak is an all round multi-vitamin and multi-mineral supplement with a few added extras including a pro-performance complex, an antioxidant complex and a collection of digestive enzymes. Universal Pak’s most standout point lies in its formulation whereby it contains a digestive enzyme complex that is rarely found in most multi-vitamin/mineral supplements. These digestive enzymes are helpful in ensuring that you can get the most out of your food and nutrition. Considering that bodybuilders, athletes and serious trainers eat a lot more than an average person, by maximising your ability to digest and absorb nutrients with this complex, Animal Pak rises above normal. It is considered a more tailored version for those who train seriously. One of the key differences between Animal Pak and other leading supplements is that Animal Pak contains a rather high amount of protein at 6g per serve. Protein is always vital for anyone that is serious about gaining muscle mass and by including some in a daily supplement, it helps you to achieve your target by getting enough macronutrients. Another key difference is the pro-performance complex. While some ingredients are similar to other competitors, it includes a blend of ingredients to help support liver function, fat loss and exercise performance. Just by comparing the common ingredients, Animal Pak has approximately 1.5-2 times the amount of these ingredients per serve. Unfortunately there are a couple of negatives that exist with Animal Pak. The product does not contain vitamin K, choline, iron or fluoride. Iron is a very important mineral that is often reduced during intense exercise so it’s an interesting absence from Animal Pak. 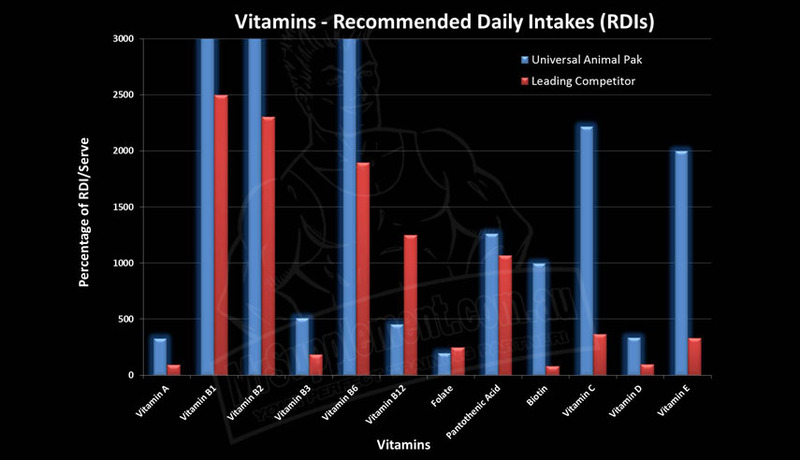 While not exactly a negative, Animal Pak’s antioxidant complex seems rather unoriginal, however, because it has been around for so long and with such a great reputation, it has most likely inspire other newer supplements to copy its formulations. There are also some users who would prefer not to take so many tablets. Although Animal Pak offers a range of benefits, it does come with some side effects which can cause certain reactions. For those who may experience some symptoms of discomfort, allergic reactions, stomach pains etc, it is best to stop using immediately or consult a professional before consuming. Animal Pak is only available in capsule/tablet form. How to take Universal Animal Pak? Animal Pak is recommended to be taken 1 packet in the morning with a meal and plenty of water. Universal Animal Pak is not your average run on the mill multi-vitamin and mineral. It is a tailored supplement for those who have higher training volumes and who are serious about their daily nutrient needs. Providing above and beyond what other multi-vitamin supplement contain, Universal Animal Pak is definitely a number one go to for most determined trainers. * The graphs have altered vertical cut-offs for comparison purposes. For actual figures, please email service@mrsupplement.com.au for more details. 1. 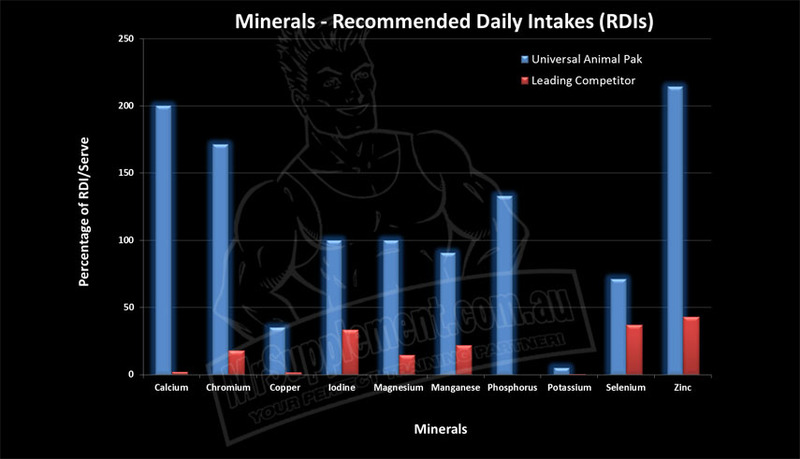 Australian Nutrient Reference Values. National Health & Medical Research Council.